The Comittment to make a difference was ever so evident today in our hometown of Laguna Niguel as our Mayor hosted her inaugural "Coffee with the Mayor" for the Community to join her to discuss the affairs of the City and to provide a roadmap of where the CIty was going. 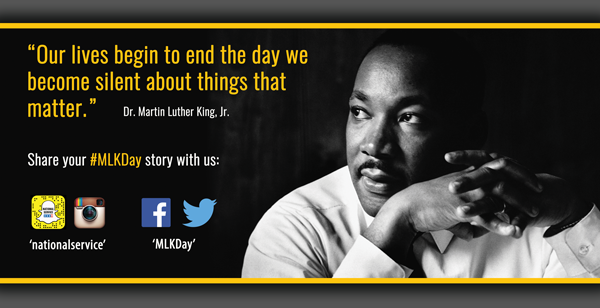 It was ever so in line with the spirit of Martin Luther King Jr as we are pleased to share this on that pivotal Day. The 2016 Martin Luther King Day of Service is in the record books and what a DAY ON it was! You collected and distributed food for those in need; you refurbished, weatherized, and built homes; you helped children improve their reading skills and taught them about ways to be healthier; you beautified and cleaned public spaces; and in thousands of other ways, you helped expand opportunities for individuals to be the best they can be. AND, you told others about your service. Your social media messages helped #MLKDay trend on Twitter, generating more than more than 3 BILLION impressions during the holiday. We hope you enjoy looking through this Storify where you will see service from across the country, and in Washington, DC, where the President and First Lady served as well as many members of his cabinet. Thank you for leading your communities to serve in honor of Dr. King.